Orbital Corporation Limited (“Orbital” or “the Company”) has received an order valued at US$9.7 million (A$12 million) from Insitu Inc. (“Insitu”), a subsidiary of The Boeing Company (“Boeing”), to manufacture an initial batch of Unmanned Aerial Vehicle (“UAV”) engines and propulsion systems. 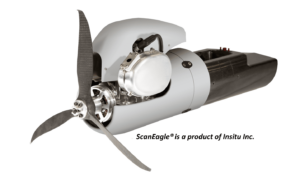 In May 2015, Insitu announced Orbital as their preferred engine supplier for the ScanEagle UAV. To facilitate aggressive customer program timing requirements, Insitu has issued an initial batch order contract valued at US$9.7 million (A$12 million). The new order has been received while negotiations continue between Orbital and Insitu on the terms and conditions of a long-term production contract for the commercial supply of the new Orbital UAV engine and propulsion systems. This first order from Insitu for production engines and systems validates Orbital’s decision to establish a new ORBITAL UAV Engine division (“ORBITAL UAVE”). The ORBITAL UAVE initiative concentrates Orbital’s UAV engine skills, facilities and infrastructure into a focused group charged with growing the business to achieve a A$100 million per year sales target. The ORBITAL UAVE team has commenced initial activities to purchase long lead time components and systems from suppliers and to prepare local facilities and processes for manufacturing engines. Requirements for this first consignment order will be manufactured at Orbital’s world-class engineering and workshop facilities in Balcatta, Western Australia. Orbital will deliver on the new order in conjunction with advancing negotiations for the long-term production contract.